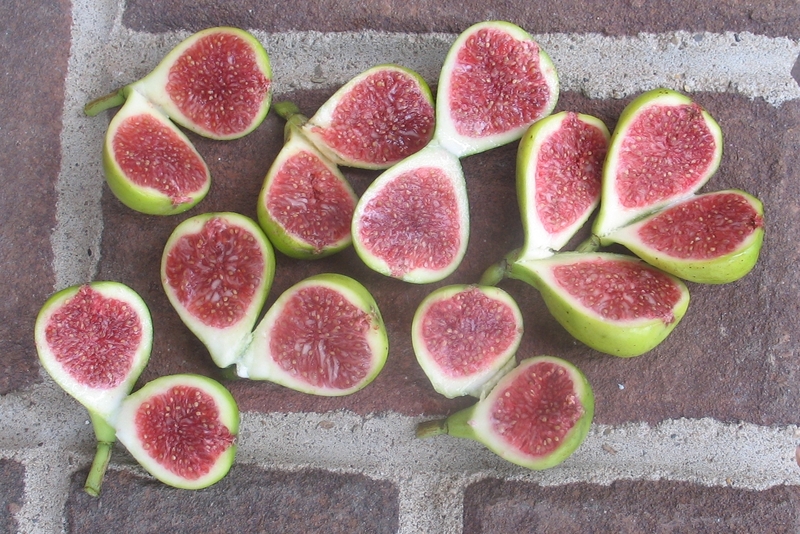 Light figs with intense strawberry flavors, sometimes referred to as “Adriatic” types, also offer premier taste. Paradiso is a great example, as are Verte / Calverte and Adriatic, JH Adriatic and others. Several different cultivars named Paradiso circulate, including Paradiso Bronze and Paradiso Nero. 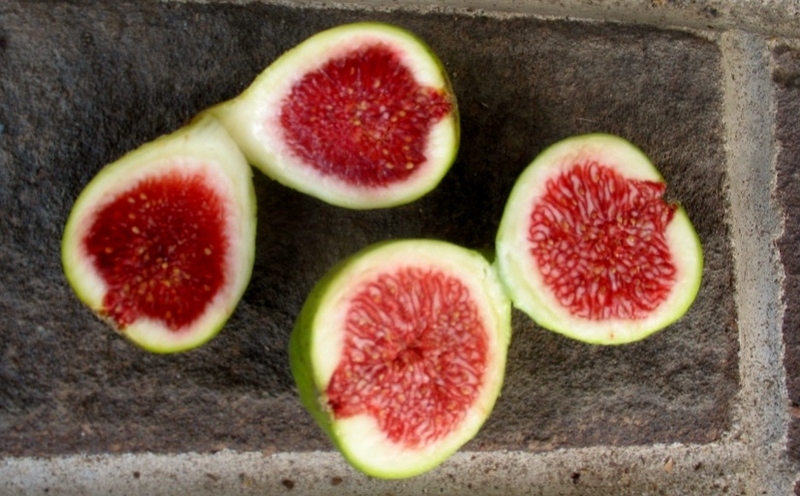 This green skin, dark red pulp, or “Adriatic” type is sometimes known as Paradiso GM-9, Gene’s Paradiso, or Paradiso UC Davis, a terrific fig, well worth attempting to ripen in short seasons. 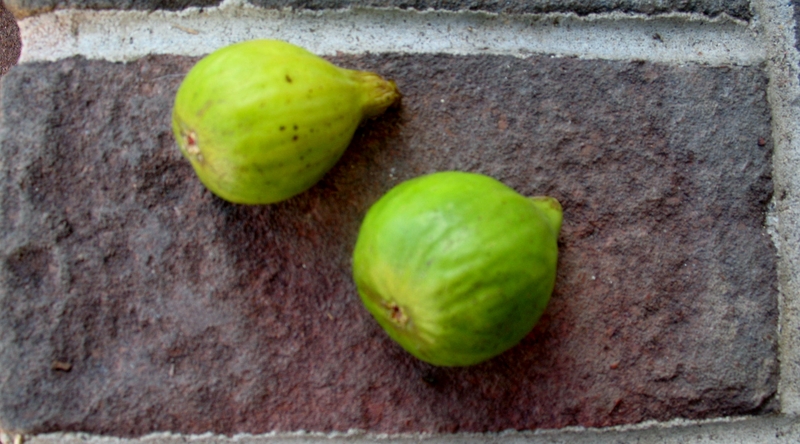 Even post frost, which will strip the leaves of unprotected fig trees, the fruit can continue to ripen for several weeks, though rendered less sweet than figs that ripen under full leaf power. 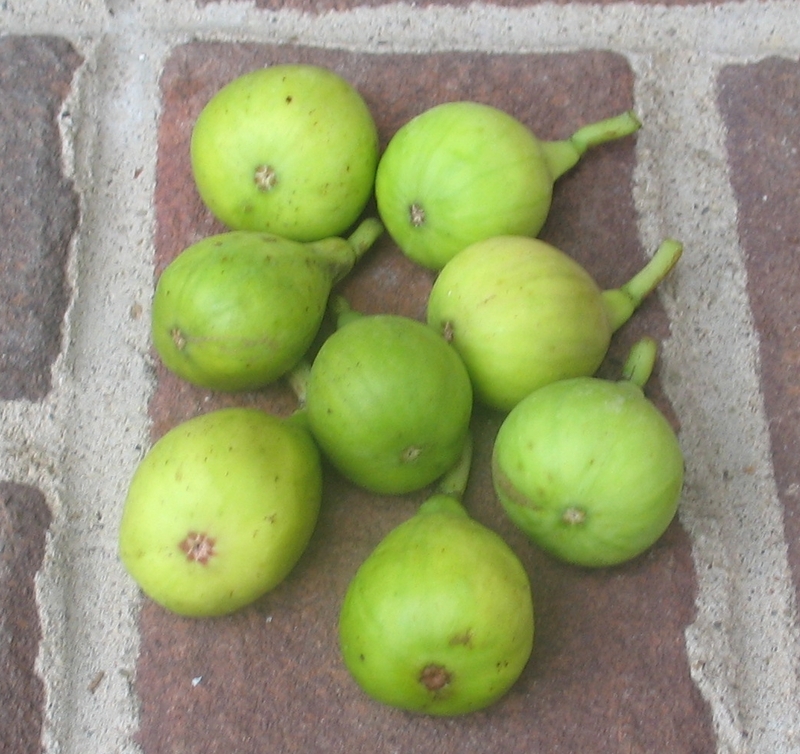 Paradiso may be a cultivar synonymous with Battaglia Green and Ischia Green.